During the boom years of early Spokane, colleges and academic institutions began to pop up around the city. Spokane University was among the first universities in Spokane and the first in the valley, but it would not survive for long. 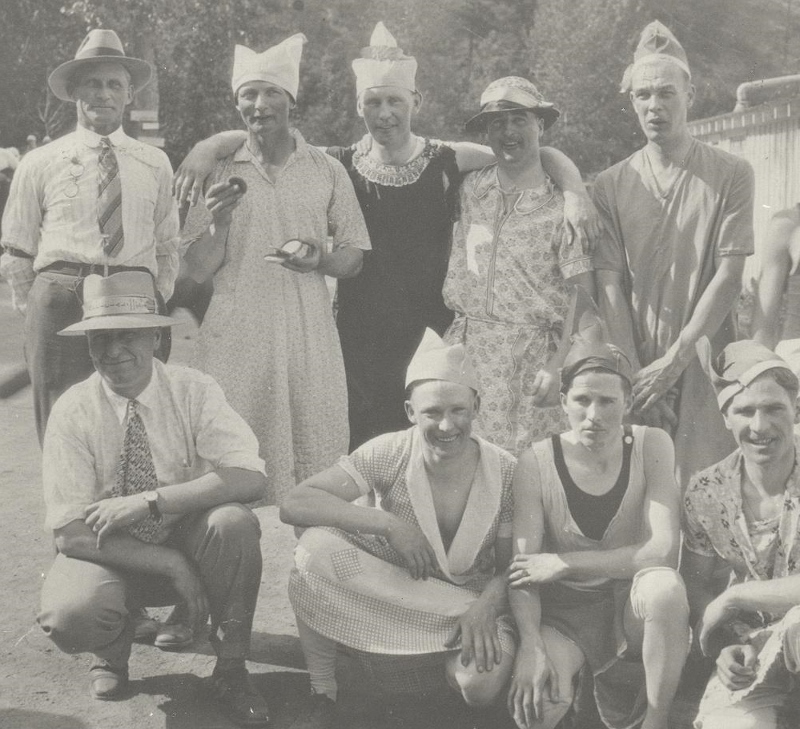 Founded in 1913 by B. E. Utz, the four-year liberal arts college was originally intended to train ministers for Christian churches throughout Washington State. 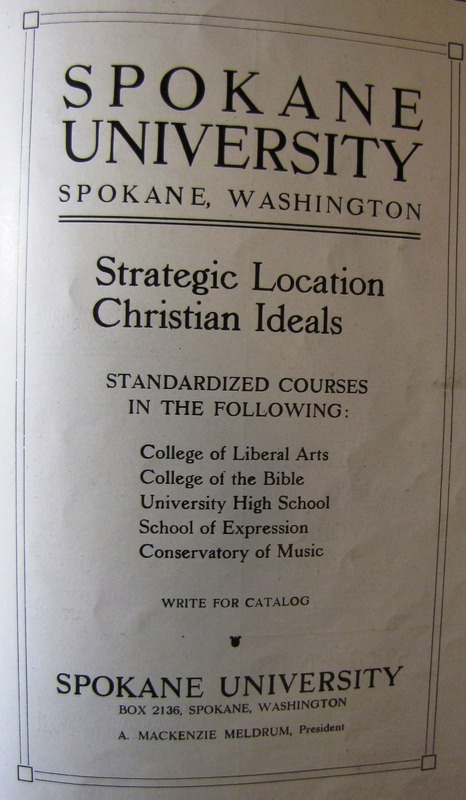 In fact, it was briefly referred to as Spokane Bible College, but it was non-sectarian and its liberal and fine arts programs thrived for some two decades. 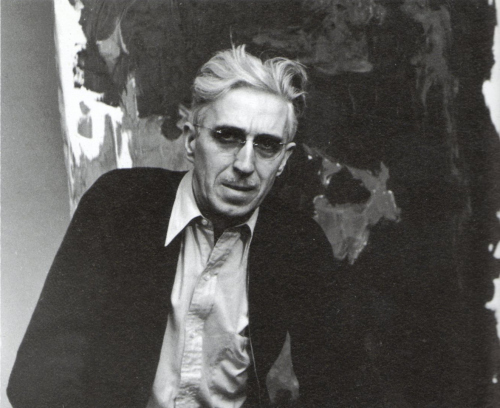 The university would educate hundreds of students, including one the leading figures in abstract expressionist painting, Clyfford Still, who graduated in 1933. 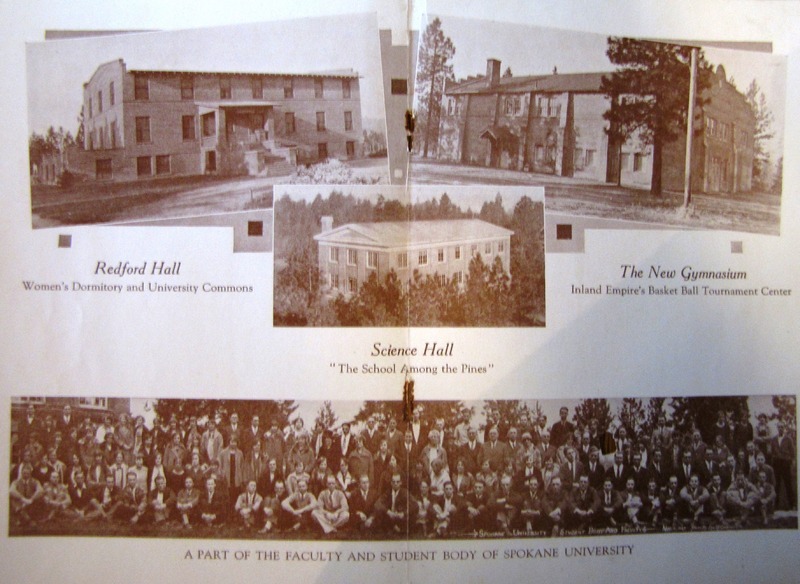 However, Spokane University did not survive past its twentieth year. Like the rest of America, The Great Depression took its toll on Spokane as well. According to one of the universities professors at the time, the university "had no endowment and nothing to fall back on." Thus, in 1933, Spokane University officially closed, but it was not entirely lost. In the following years, the facilities were moved to Spokane's South Hill and merged into the newly formed Spokane Junior College. While the institution was all but disassembled and moved, the University continued to influence its prior home in the Valley. Roads in the area still bear names brought about by the school such as University Road and others. The former campus which stands on Ninth and Herald Streets served as University High School from 1960 until 2002, when it moved to a new location. Fun at Spokane University: Students and professors alike participate together in the wonders of academia at Spokane U. Photo courtesy of Spokane Valley Heritage Museum. Clyfford Still Portrait: Still was a prominent abstract expressionist who graduated from Spokane University in the early 1930s right before it's closure due to the Great Depression. Image courtesy of Wikipedia. 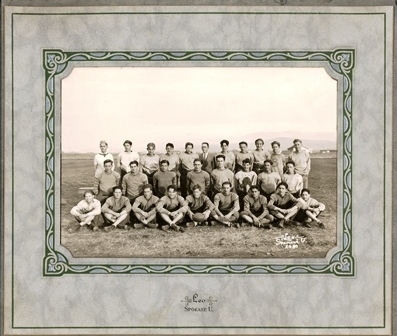 Spokane "U" football Squad, 1919: Like any other university in the area, such as Gonzaga or Whitworth, Spokane "U" had well-funded athletics programs, and football was always one of the most popular of the school's many different athletic teams. Spokane "U" had one of the more dominant teams in the region during its twenty-years in existence. Unfortunately, that was not nearly enough to save the college from its untimely end in 1933. ~ Source: Spokane Valley Heritage Museum, Spokane University Collection. Spokane "U" Buildings, Student Body and Faculty, 1927: Images of Spokane University's several "new, state-of-the-art buildings" and the college's student body and faculty. When these photos were taken in 1927, the school was just ending its "peak"years as the Great Depression only two years later would help bring about the school's eventual dissolution. ~ Source: Spokane Valley Heritage Museum, Spokane University Collection. 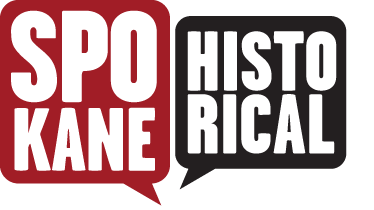 Thomas Kassa, “Spokane University,” Spokane Historical, accessed April 20, 2019, https://spokanehistorical.org/items/show/536.